SUGAR OR FROZEN DURIAN DEAL? Recently, BN government has offended Robert Kuok, Malaysian economy suffered a great blow consequently! After the official visit of Chinese Premier Wen Jiabao to Malaysia, Najib government now is truly understood Robert Kuok’s personal influence on China! In order to benefit their cronies, they arm-twisted to swallow Robert Kuok’s sugar empire. The cronies get richer by 1 billion or so, but it causing losses of more than 20 billion to the country! Those who have accessed to insider news can only curse to core and pull out his/her hairs! Malaysia sugar king was forced to leave Malaysia, but became the world’s sugar king! He bought the world’s largest sugar mills in Australia, invested USD 10 billion in the sugar farm in Indonesia with the goal of developing it to the world’s largest sugar refining producer, living up to the name of the world’s sugar king. On the other hand, Malaysia government enriched its cronies at the expense of national interests. For those who have insider news, Kuok offered tremendous help to the Malaysian government in the past few decades, he has done everything possible; but what the government did was like what you will get when you turn over a pig stomach: faeces. In other words, Najib Government is UNGRATEFUL! In the “Confidential” news, it is about the Chinese Premier Wen Jiabao’s visit to Malaysia recently, it hit a snag with Najib. Prior to Premier Wen Jiabao’s visit to Malaysia, Najib and his cabinet on more than one occasion, hinted that he hoped China will double the amount of palm oil import from Malaysia. We all know that China is the largest consumer of palm oil from Malaysia. Rapid economic growth in the recent years, China became the largest palm oil market for Malaysia, but Malaysia has also facing a strong competition from Indonesia, trying to sell its palm oil at lower prices to China and India, which will diluting Malaysian market share. This threat is a great concern for Najib. Najib hoped to sign a new palm oil trading contracts with Premier Wen Jiabao in order to more than double the average 10 million tonnes monthly export to China. But Wen Jiabao came to a Malaysia, Najib was told that this request is unlikely to be fulfilled. It was an utter disappointment. Najib knows the Chinese market demand, import one million tonnes of palm oil per month is still not a constraint for China. So, what is the problem? The problem is Sugar King, Kuok does not agree! Why the Sugar Kuok is able to influence China’s decision to buy Malaysian palm oil? The China cooking oil market is monopolized by who? The China cooking oil market leader is “Arowana” brand cooking oil, accounting for nearly 40% of its market share! The Arowana cooking oil boss, is Robert Kuok! Think about it, if Premier Wen Jiabao on behalf of the Chinese government buys the Malaysian palm oil. Who is going to refine it into cooking oil? Of course, it is the private enterprises! With its 40% market share, if Arowana cooking oil company refuses to buy more, how the Chinese government is going to absorb the extra import volume? Najib was insensible from the start, and did not know Kuok had such a big influence in China. He had helped cronies, forced Robert Kuok to give up the Malaysian sugar king throne, and didn’t expect to have such quick retribution. Kuok was forced to pack and leave Malaysia, his heart is of course very unhappy. People of Malaysia must know that during the early days of independence, we did not have aviation talent pool, Alliance government requested Kuok’s father to help set up Malayan Airways. In 1970 Malaysian maritime shipping industry is also in vacuum, Malaysian government sent representatives to Hong Kong to personally invite Kuok for assistance. For the national development sake, Kuok put aside his Group business, came back to Malaysia to assist Government in establishing a national maritime shipping industry, this later renamed to MALAYSIA INTERNATIONAL SHIPPING CORPORATION, MISC in short. Robert Kuok gave his hand when Malaysia repeatedly faced the economic difficulties in Mahathir era. Even in MCA Tan Koon Swan’s case, it was Robert Kuok who paid the bail! Malaysia’s successive governments, from the National Front to BN, owed Robert Kuok a lot. But Malaysian Government was ungrateful, using the high-handed trick and no sugar price rise excuse to forcefully take over Kuok’s sugar empire in Malaysia. Deng Xiaoping made a comeback in the 70s, announced China’s reform and needed most generous help of overseas Chinese entrepreneurs; Robert was first to take actions to help Deng. Among the other entrepreneurs of Chinese economic miracle are Henry Fok and Li Ka-shing Hong Kong. Malaysian entrepreneur Robert Kuok is the first to response to Deng Xiaoping’s appeal and built the China’s first five-star hotel, Shangri-La in Beijing. Kuok’s sugar empire was eaten up by the fat vampire’s family abruptly. Imagine, a world renowned international trade business personality, what humiliation he received in return for his single-minded help all this while for his own country & government? And Najib would never think that the consequences of offending the Sugar King will be so serious. Right after Sugar King left Malaysia, he immediately announced the acquisition of Australia’s biggest sugar mill. This is the world leading supplier of raw material for sugar manufacturing. Of course, this includes supplying to the family of the fat vampire woman’s sugar factory in Perlis. In early this year, Kuok announced plans to invest USD 10 billion in Indonesia for the development of the world’s largest sugar cane plantation, as well as building a state-of-the-art sugar refinery mill. In the midst of world economy was facing a downturn and Malaysian government traveled around the world to solicit investment. How much was Malaysia’s foreign investment? Kuok’s single investment in Indonesia alone is already USD 10 billion dollars! Don’t you want to screw the first couple? At the moment, China’s palm oil contracts sealed with Malaysia is remaining unchanged under the agreeable terms. There won’t be any increase in volume. Indonesia has more palm oil output than Malaysia. It is cheaper too. Now that Kuok had invested so much money in Indonesia, the Government of Indonesia would have treated him as their God of Wealth. Certainly, open to negotiate anything with him. Moreover, Indonesia has been eyeing to take over the China palm oil contract from Malaysia. The CONSOLATION price China offers to Malaysia for not increasing the purchase of palm oil was importing frozen durian. Do the Chinese people have the habit of eating durian? How much time and efforts are needed to market frozen durian from Malaysia? 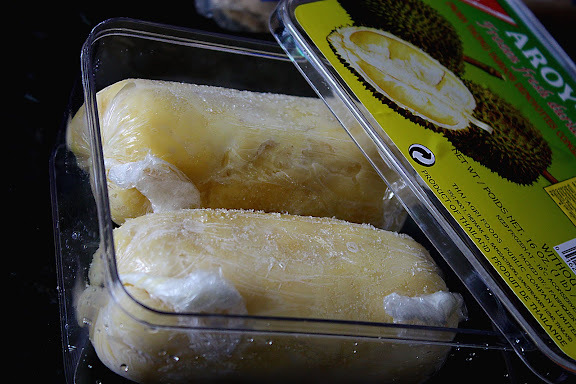 Thai durian may not selling well in China, let alone Malaysia frozen durian? Business is business, who would supply millions of dollars’ worth of frozen durian into an untapped new market with no durian consumption culture? Should the Chinese people become non-receptive of it, how do we deal with return goods? A total failure of investment might happen. Is this how to do business? In earlier this year, when the news hit the papers that Kuok made an announcement to invest USD 10 billion in Indonesia, many criticized Kuok for being unpatriotic, preferring to inject so much money into Indonesia instead of Malaysian. You arm-twisted him to take over his empire, forcing the man to leave Malaysia in broken heart & humiliation; now that the man ignores the Malaysian market, and you criticize him? He channeled his huge investment to Australia & Indonesia instead of Malaysia, who is to be blamed? Coincidentally, Kuok is not just the renowned China hotelier, king of cooking oil, the world’s sugar King; he is also the franchisee of the Coca-cola soft drink brand in the Chinese market. Kuok is involved in a diversity of businesses in China. He created many job opportunities for China. The Chinese central government and leaders have great respect for him as an entrepreneur. When the man speaks, the weight it carries can be far-reaching. So far, Kuok is the only Malaysian tycoon who never accepted any of the royal titles conferred for those outstanding Malaysians. Many people address him as “Tan Sri Robert Kuok,” in actual fact, he does not have it, he doesn’t need them too. To put the record straight, he is neither Tan Sri nor Dato. Briefly, this article sets out to describe how BN Govt., using the legislation and economic powers, to erode and eventually take over the rice milling and distribution businesses of the Chinese held companies. In the eighties, the rice market was mainly controlled by the Chinese carrying such brand names, e.g. Dragon and Pearl,Jasmine, etc. 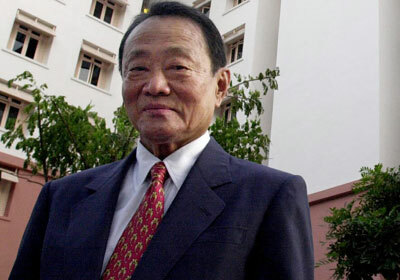 Robert Kuok was then one of the biggest dealers of rice. Mahathir, in pursuit of the NEP policy, instituted the requirement of obtaining APs for the import of the most commodities. The import of Chinese oranges during the CNY festive period was included in this exercise. Shortly after, the rice market was also targeted by the setting up of Bernas National Bhd. to oversee this policy. Import permits held by the Chinese were rescinded with Bernas being replaced as the sole importer instead. The price of rice was then dictated by Bernas henceforth. All production of padi must only be delivered and sold to Bernas. Bernas was originally a Government entity. Later, it was divested to Rosmah’s family connections. Having taken over this monopoly, Bernas began to wrest control of wholesale destribution market of this important commodity. Robert Kuok saw through the evil intents of the Government policies and sold off to venture eleswhere. Not all other rice dealers had his type of potentials and thus had to soldier on despite the mounting harassments and exploitations by Bernas. In the 90s, Bernas started to absorb the other Chinese rice merchants who had managed to sustain such encroachments thus far. Supplies can be obtained only through Bernas. After a lapse of another decade, most of the Chinese rice dealers had had to sell off. The remaining one of note is Hock Ju Co.Ltd. the owner of which, Mr. Khoo, stood steadfastly his ground. The reasons why Bernas could so easily take over the Chinese companies are twofold, viz. (1) the lifeline of supply is solely in their hands and (2) the lack of trading capital of the Chinese merchants. Bernas would extend credit line to the rice merchants and allowed the credits to accumulate to the tune of million of ringgits which amount eventually had to be settled in the form of shares exchange to Bernas. The one who refused to surrender to Bernas was Hock Ju Edar. It had prepared itself well for this eventuality and its boss is the leader of the Malaysian Rice Merchant Association. In 2006, Bernas applied pressure on this company by letting it be known that Bernas was interested in acquiring 51 per cent shares of the company. It assured Hock Ju that it will not face rice supplies shortages for its milling operations resulting from this deal. 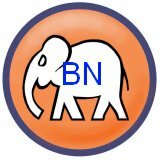 The other condition was that the company, upon it becoming a part of Bernas, would have to contribute in the million of ringgits to the coffer of BN once every 5 years during national election time. The boss of Hock Ju forthwith rejected the offer because he did not relish the thought of losing his company which he had toiled and built up through decades so easily and undeservedly. The matter concerning the political contributions was particularly meaningless to him since he had been running his business scrupulously with no political affiliation whatever. Not willing to let the matter rest, Bernas officials purposely curtailed his orders for supply of rice by giving lame reasons for such shortages. During the periods of rice shortages, price fluctuations always favored the Bernas connected companies. Hock Ju had to deposit with Bernas a banker’s Letter of Guarantee of Ringgit 5 million in lieu of the rice supplies. Suddenly, Bernas informed Hock Ju that the LC had to be redeemed in the form of cash within a fortnight. With the support of the bank and its own resources, Hock Ju managed to overcome this problem temporarily. However, will Bernas cease to harass Hock Ju further with their sinister intentions ? The boss of Hock Ju personally feels that he might not be able to hold on much longer against the might of the evil forces and thus become the last vestige of his kind.